My real job is working for a high end furniture company called Live Edge Design. My artistic mirrors, wine racks and furniture I have for sale are built to last because I have been a professional furniture maker for 20 years. My wooden wine racks and artistic mirrors are made from salvaged wood from Vancouver Island, Canada. 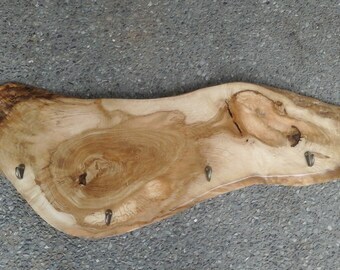 I get the wood off cuts from Live Edge Design that makes beautiful, high end furniture from salvaged trees. Please contact me if you have any questions. Thank you. Package arrived in perfect condition. Excellent craftsmanship. Extremely well packed. A true artist! Beautiful craftsmanship, as always. I have many creations from Todd. I highly recommend his work. It's an event just to open these, let alone hang & enjoy them. Absolutely breathtaking! Looks beautiful in pictures and even better in real life! Couldn’t be happier! You will not regret buying from this shop. I took a furniture making course in 1995 - 1996 and thoroughly enjoyed it. Before that course I use to tinker with wood but was never pleased with the outcome of my projects. They were very amateur looking and poorly planned out. What the course taught me was proper ways to join woods, basic steps from start to finish on a project and much more. I use to own and operate a house designing business before being schooled in furniture making and that helped me in the designing of the furniture and cabinets that I did after the course. Designing the furniture for customers was my most gratifying part of it all probably because it was a challenge to come up with a design that a customer loved and would last for decades. I'm still making furniture for a high end furniture company on Vancouver Island and loving it. But in addition to that, I am using the offcuts of this furniture and making wood mirrors and selling it online. How that happened was I saw the wood scraps being used for firewood which I felt was a waste because so many pieces of the scrap wood were very beautiful so I hauled it home in the back of my truck. I hope you enjoy my mirrors and my furniture that I added to my store recently. 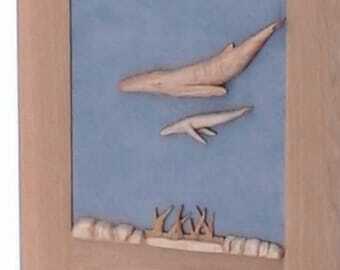 I have been a woodworker in the last 20 years from a custom furniture maker to a cabinet maker and recently to a wood artist. I still am building furniture but at the same time I am creating and making wood wall mirrors and really enjoying it. Welcome to Wood Wall Wonders. My wood mirrors, doors and art are made from salvaged wood from Vancouver Island and are available to anyone in the US and Canada. I hope you enjoy my unique wooden art pieces. If there is damage to the item shipped, there is a 30 day return policy. You will receive a full refund less the cost of shipping. The buyer pays for the return shipping. If the glass is damaged/broken and you have it replaced in your home town in the 30 days after the order date, you will receive a payment to cover the cost of the new mirror up to a maximum of $100.00. I accept paypal as a payment method for my products and direct payment as well which is a very safe way to purchase online. Through Paypal you have the option to make a purchase with many popular credit cards. My products are shipped by ground and are insured in case it does not arrive to your destination or is not returned to my location. If you happened to break the mirror, simply take the mirror with the frame to any local glass company and they will cut you a new mirror and I wouldn't be surprised if they put it in the frame for you too.